A dog found with a chain embedded in its neck is rallying together volunteers from the organization Dogs Deserve Better. 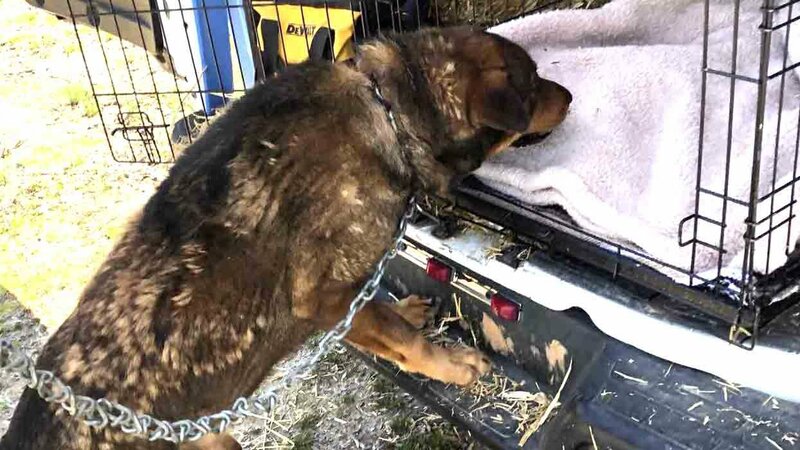 ALBEMARLE COUNTY, Va. (WVIR) - A dog found with a chain embedded in its neck is rallying together volunteers from the organization Dogs Deserve Better. That organization asks for community donations to help pay for the dog’s life-saving surgery. After 2-hour long surgery and full vetting, Danny Boy, set on the road to recovery. “He came in with a 6 pound chain embedded in his neck,” said Veterinarian Dr. Jenna Garza. Volunteers with Dogs Deserve Better Blue Ridge rescued Danny Boy over the weekend in Louisa County. They rushed him to VETSS in Albemarle County where Danny Boy underwent a 2-hour surgery to remove the chain. $1,800 later, volunteers ask for community help to pay for Danny Boy&apos;s new life. “Financially we also may need a second surgery to help clean out the wounds, so costs can pile up after just the surgery,” said Spangler. Those with Dogs Deserve Better hope legislation will make cases like Danny Boy&apos;s far less common. The proposed legislation would put stricter regulations on the length and weight of chains used on outdoor dogs. Despite a rough life, Danny Boy is on the road the recovery. Dogs Deserve Better chose not to report the incident because the owner surrendered the animal. NBC29 spoke to Louisa County Sheriff&apos;s Office and they did not know of the case. At this time, the owner is not facing any charges. Dogs Deserve Better is collecting donations, and can be contacted at (434) 264-6170.